Thirty years. 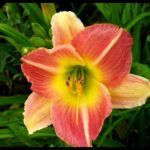 The American Daylily Society deems any daylily that has been registered for over thirty years to be historic. 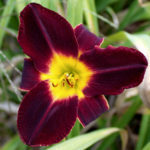 Currently, this title is used for daylilies recorded prior to 1980. 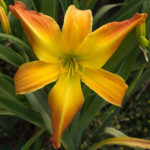 However, next year, in 2020, any daylily registered before 1990 will be considered historic. 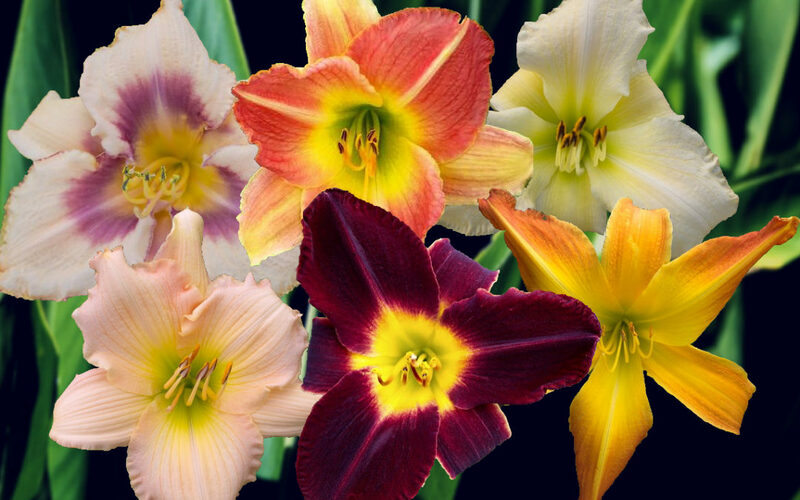 Although thirty years does not seem old enough to be considered vintage or historic, we would like to reflect on a few during their final year before they say adieu to their “newer daylily” designation and are assigned into a different category forever. Let’s start off with this gorgeous blossom. It is a subtle cream with a glorious wine colored eyezone and green throat. Heady Wine was registered in 1981 and has a flower diameter of 5.5”. This lightly ruffled beauty has it all. Painter Poet is a fragrant rebloomer with extended blooms. 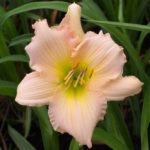 It is a soft rose pink and cream bi-color with a yellow-green throat. The flower diameter is 6” and was registered in 1982. Registered in 1983, Surprisingly Pink won Honorable Mention in 1986. It is a charming pink blend with a green throat. The flower diameter is 6”. Newberry Orange Tip is striking with its bright yellow/gold base with orange tips and green throat. It was registered in 1985 and has a flower diameter of 7”. With a deep black red self above a yellow-green throat, Moonless Night is mesmerizing. It has a flower diameter of 6” and was registered in 1985. Here is our second award-winning stunner. Platinum Plus is a near white self with a green throat. 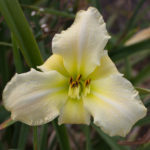 It is slightly ruffled and recurved with a flower diameter of 6”. It was registered in 1987 and was awarded an Honorable Mention in 1993. 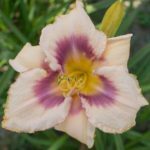 If you would like additional information on these flowering sensations before they are categorized as historic, please visit our website under the newer daylilies section.